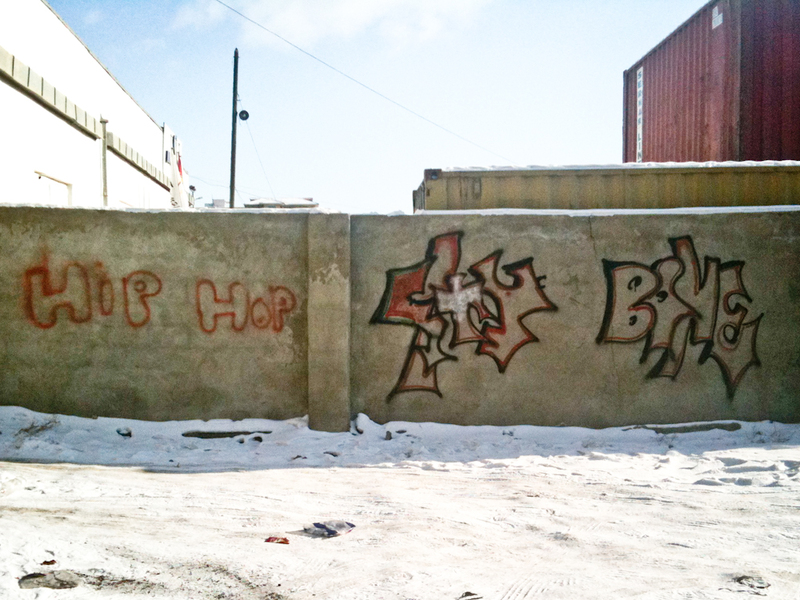 As I’ve wandered around Ulaanbaatar over the past few months, I’ve been struck by the amount and style of graffiti. 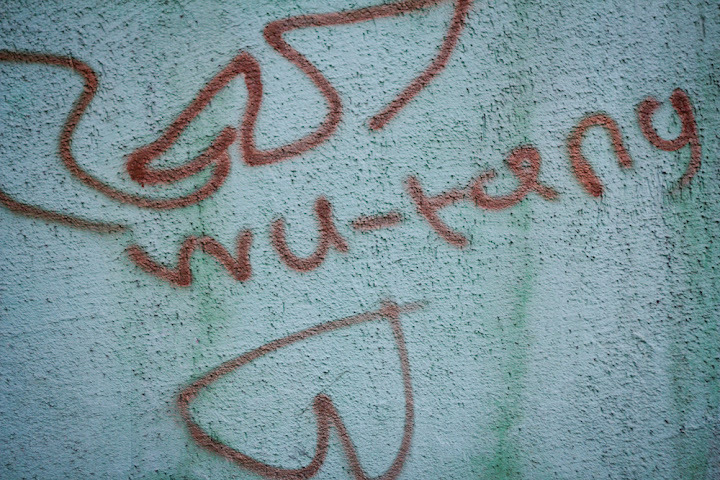 It seems that the city government does little to nothing to paint over or prevent the tags. Personally, I don’t mind. In fact, I kind of like it. 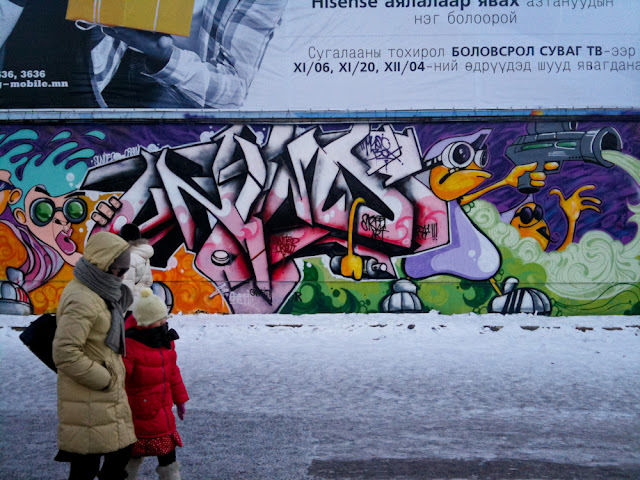 The graffiti adds a nice flavor to the city and, for the most part, it’s actually pretty artful. 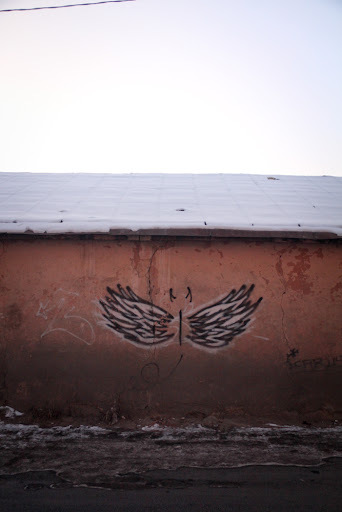 I’ve started an album dedicated to Ulaanbaatar’s graffiti, to which I will periodically add photos. 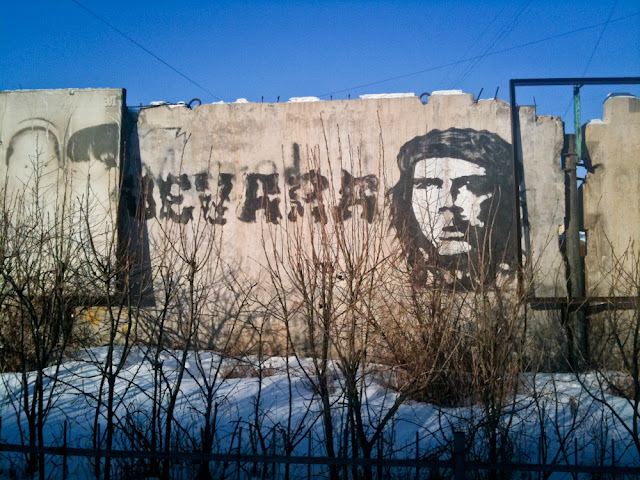 There are a couple large walls on the south side of the city that are particularly intriguing to me. One features a really nicely done portrait of Chinggis Khan in addition to the Guy Fawkes face from ‘V for Vandetta’. 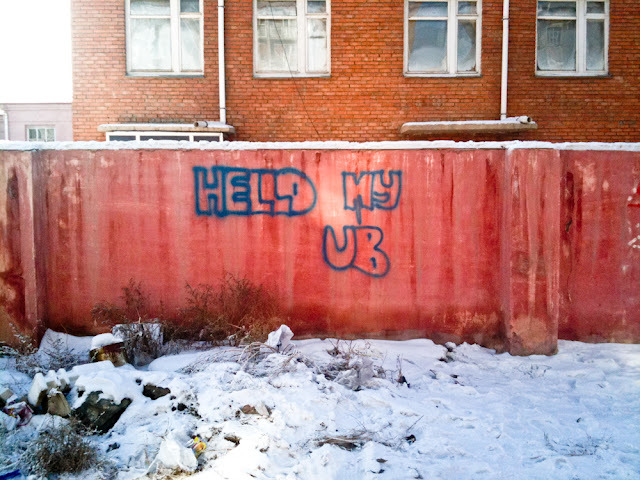 I think this first image refers to a song by The Lemons that praises Ulaanbaatar.